Christian has a new toy, the Olympus E-M10 system camera. 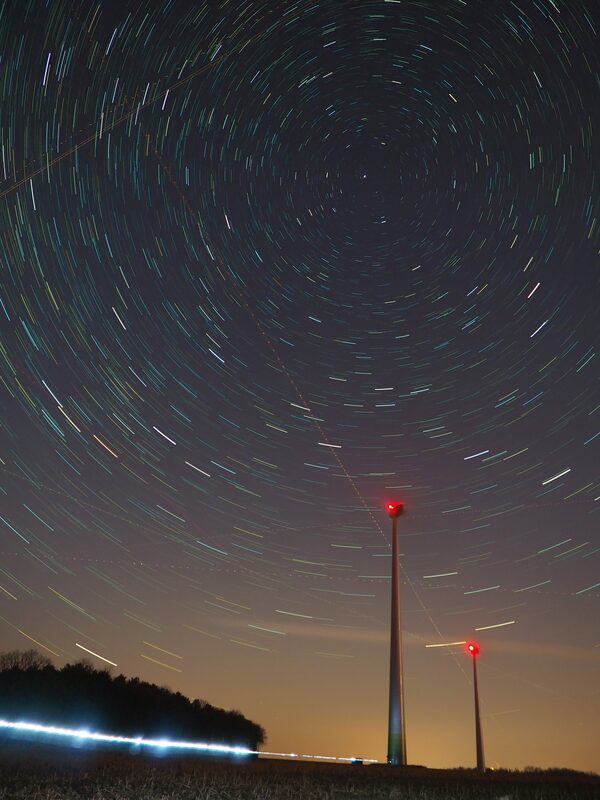 In the Zagersdorf wind park area he produced a nice widefield polaris startrail image. 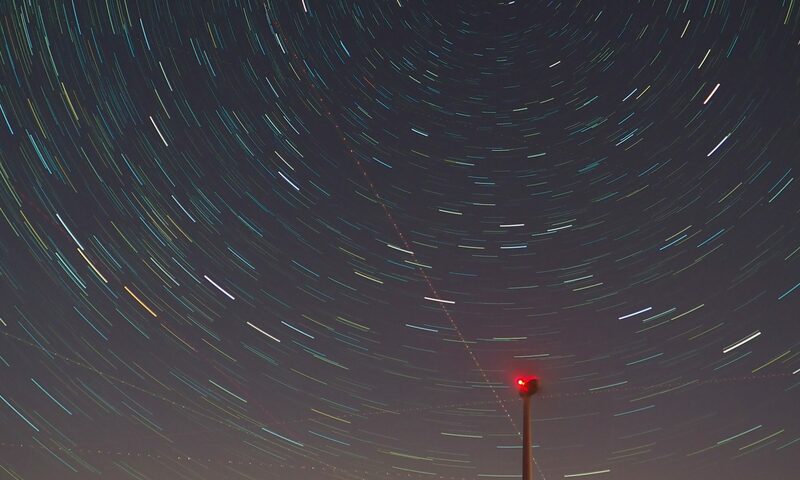 And poor Viktor had to perform as guinea pig for testing the live composite function by producing a horizontal ground-based “star-trail”.